The Penguin Collectors’ Society is an owners club for people who worship at the shrine of Alan Lane’s revolutionary paperbacks and probably arrange their bookshelves according to the publisher’s spine colour system. 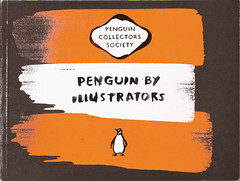 Edited by Steve Hare, Penguin by Illustrators is based around the Society’s second study day, at the Victoria & Albert Museum in London on 24 March 2007, which looked at the use of illustration in the publisher’s history. All that day’s presentations (by Dennis Bailey, Romek Marber, Jan Pienkowski, Tony Lyons and Jon Gray) are included, plus first-person accounts of working with the company by 27 other Penguin artists. This is a rich and properly captioned cross-section of the best of recent British illustration history: from David Gentleman and Quentin Blake to Tony Lyons (The Serpent’s Teeth, 2006) and Jon Gray (Murder, 2005). It also shows how publishing has changed from the gentle days of commissioning a drawing to drop into Jan Tschichold’s famous cover format to the marketing battleground that is contemporary bookselling. Phil Baines’s introduction sets the scene: the historical context, the cover grids and the arrival of Germano Facetti as cover art director in 1961. 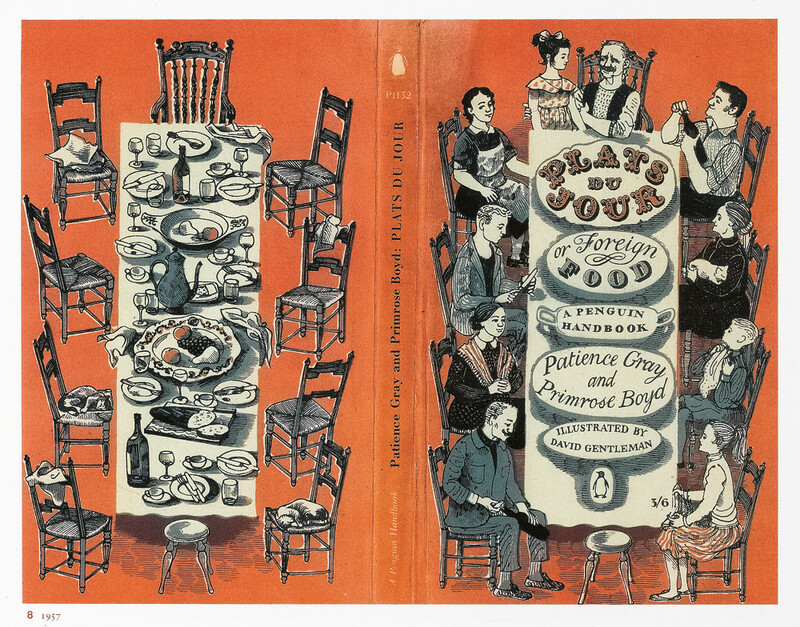 David Gentleman began working for Penguin in 1955 while still at the RCA and drew Plats du Jour (top) in 1957. ‘The front cover was of a French family beginning their meal. When you turn it over, you see the table at the end of the meal, with the cats sitting among the debris.’ Between 1967 and 1979, he engraved all the covers for the New Penguin Shakespeare (including Henry IV, Part 1). Romek Marber designed the Penguin Crime cover grid in 1966, specified the ubiquitous green and executed the first twenty titles. His graphic 1962 cover for The Incredulity of Father Brown shows how Chesterton’s hero ‘gets straight to the nub of the case and always gets his man’. Penguin by Illustrators is produced by Phil Baines with design by Ipek Altunmaral.